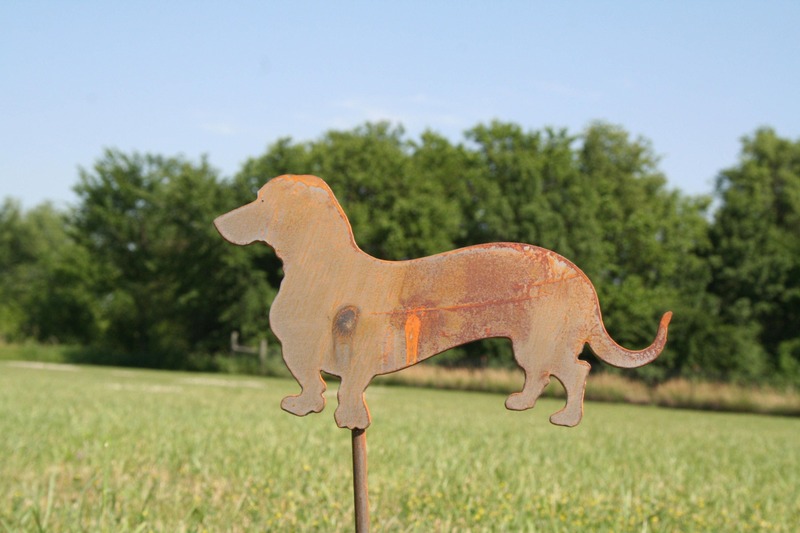 Rusted Wiener Dog garden stake is perfect for your landscape. It's a great size for large flower pots as well! Stake is roughly 19" tall. 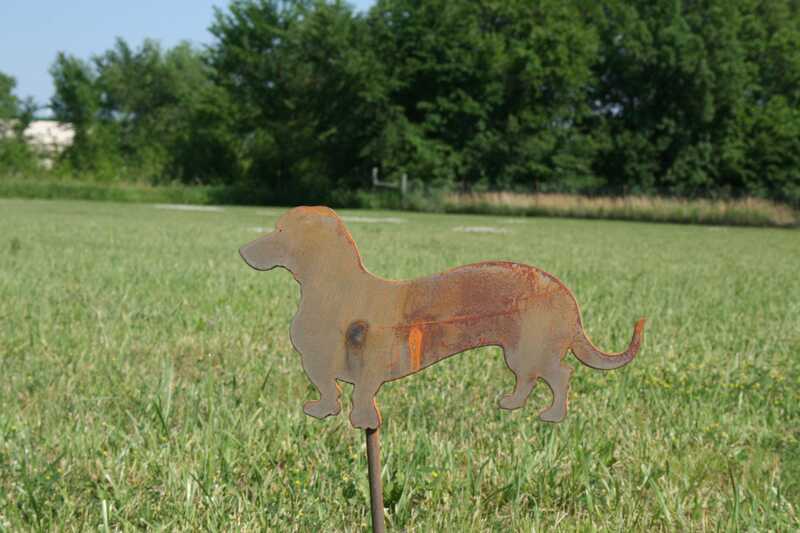 The dachshund is cut from thick steel and welded onto a steel rod. Dog itself is 8" wide and just over 5" tall. This makes a lightweight but durable garden stake. 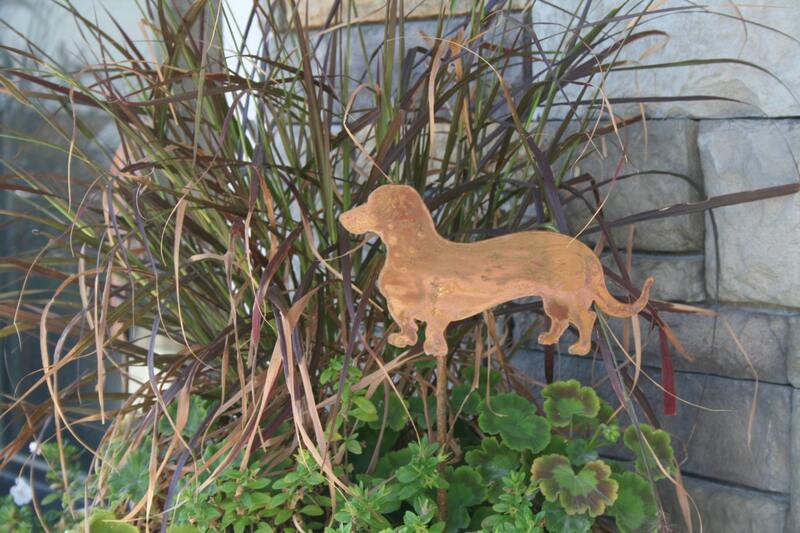 This adorable, rusted dachshund stake will add the perfect charm to your landscape or garden. Makes a great gift for doxie owners and foster parents! This cute little sign also works as a pet memorial. This doggy is a favorite at our house. 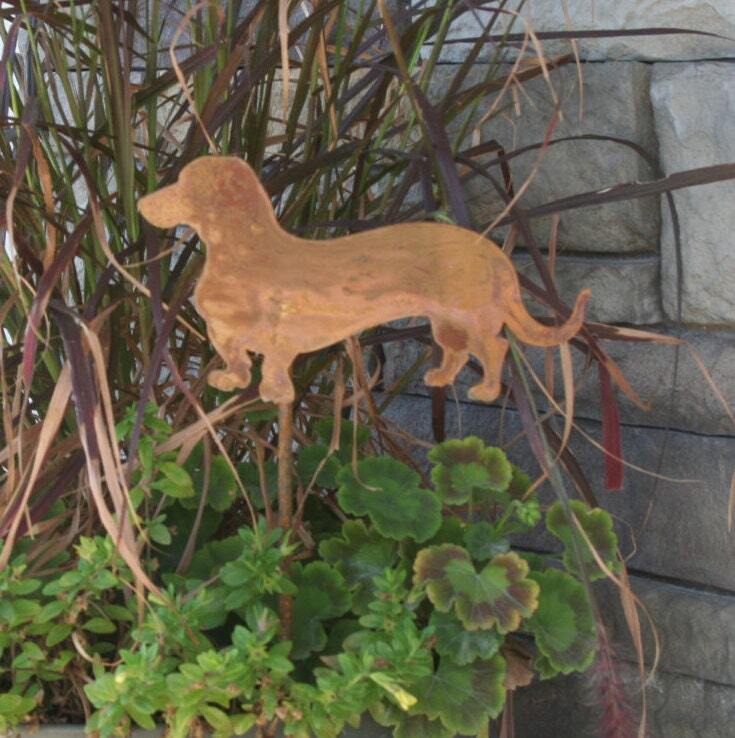 We hope you'll love the wiener dog garden sign as much as we do! Perfect! Shipping at stealth speed too! 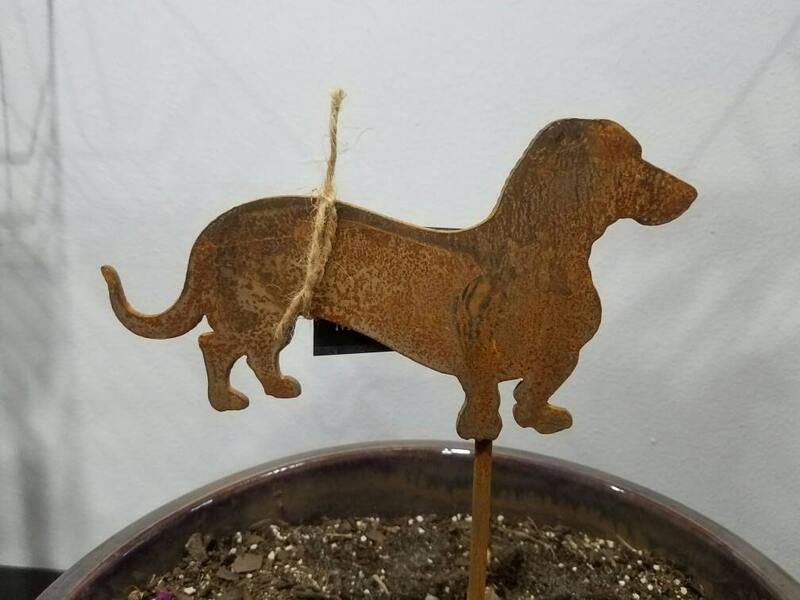 This was the perfect gift for my mom and her garden. She loved it!